This is our first Mystery game. 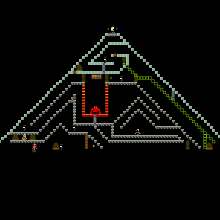 In this game you will have to explore a pyramid to get to the diamond. You have to find hidden objects to help you get past deadly things.